In this work the various ways that social, economic, and cultural factors influence the identities and educational aspirations of rural working-class Appalachian learners are explored. The objectives are to highlight the cultural obstacles that impact the intellectual development of such students and to address how these cultural roadblocks make transitioning into college difficult. Throughout the book, the author draws upon his personal experiences as a first-generation college student from a small coalmining town in rural West Virginia. Both scholarly and personal, the book blends critical theory, ethnographic research, and personal narrative to demonstrate how family work histories and community expectations both shape and limit the academic goals of potential Appalachian college students. 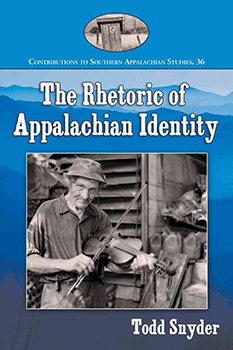 The Rhetoric of Appalachian Identity is available at McFarland & Company, Amazon, and Barnes & Noble, and anywhere Appalachian scholarship is sold. “Snyder’s voice is so particularly special because he truly has risen through the ranks and has a more legitimate voice than many writing about Appalachia. The Rhetoric of Appalachian Identity will make a special contribution to the discussion of Appalachian students.” – Katherine Sohn, author of Whistlin’ and Crowin’ Women of Appalachia. 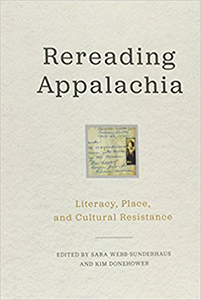 “In the tradition of Keith Gilyard’s Voices of the Self and Victor Villanueva’s Bootstraps, The Rhetoric of Appalachian Identity blends the personal and the academic with a poignancy specific to its Appalachian context.” – Kim Donehower, author of Rural Literacies, Reclaiming the Rural, and Rereading Appalachia. “Snyder’s book should attract multiple audiences. 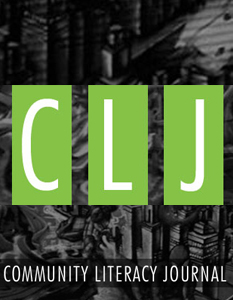 Appalachian Studies scholars will want to skim the familiar Appalachian back-story but may linger over the first-person accounts and critical and rhetorical theory. 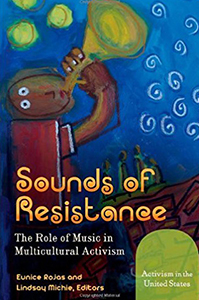 Rhetoric and composition scholars, valuing critical pedagogy and ethnographic research, may use the book in graduate classes or to inform their own research” – Appalachian Journal.